Fancy winning an EasyMat Bundle? Enter our giveaway at the bottom of this page. 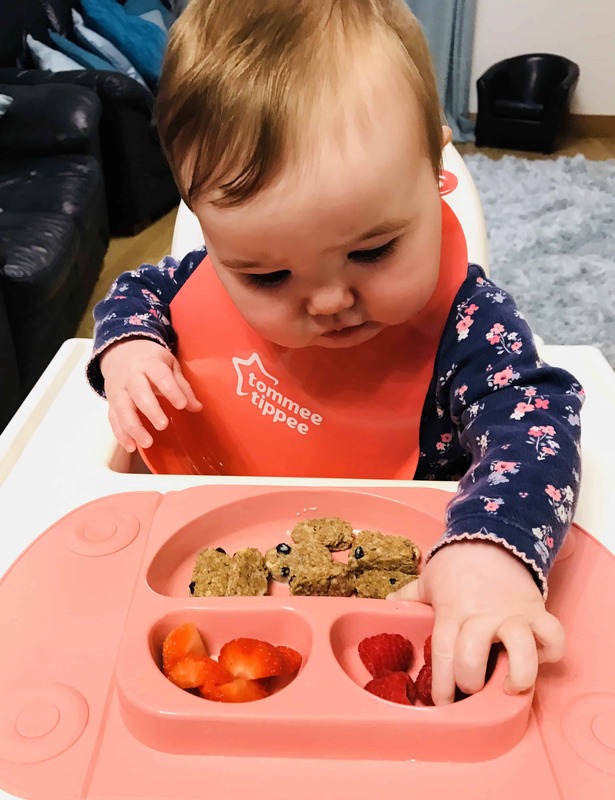 Baby Led Weaning is a fantastic way to introduce solid food to your baby, but it does not come without challenges. 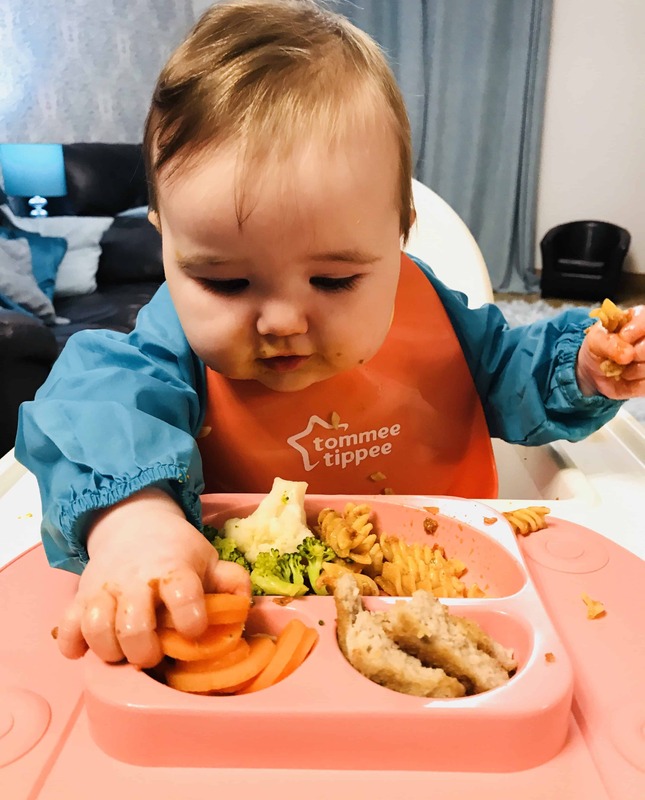 As I discuss in my blog post about essential weaning buys, we use the IKEA Antilop highchair at home. In my experience, any bowls or plates are immediately thrown on the floor, taking with them all of the lovingly prepared food. 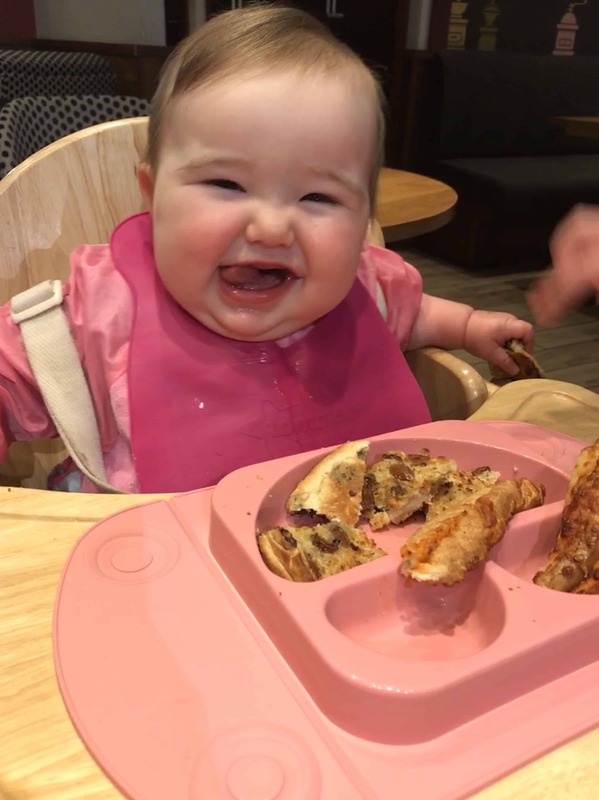 The easiest way to serve food is generally to sanitise the tray of the high chair and serve the food directly onto the tray. The problem is, what do you do when you are out and about? High chairs in restaurant are usually less than clean, so what’s the answer? 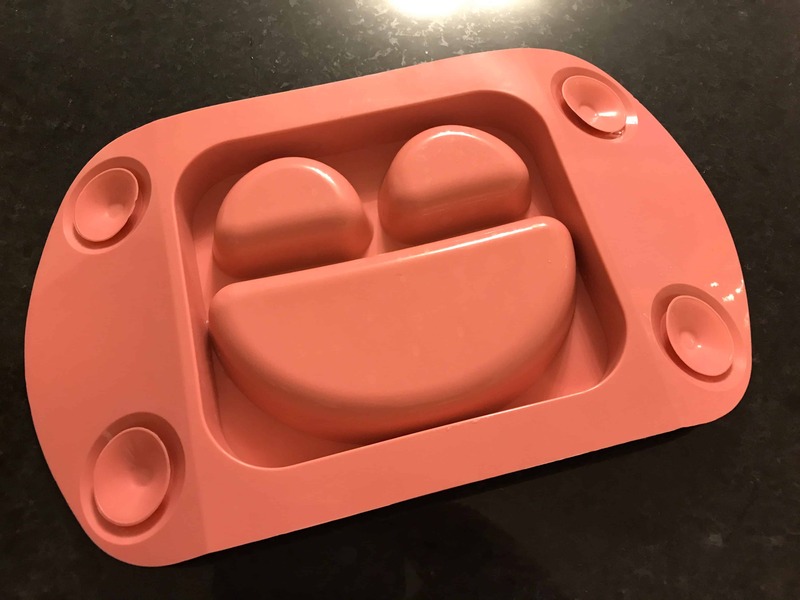 I have been wondering that too, so I decided to order the EasyMat Mini Baby Suction Plate* (enter code MUMOF4 at the checkout to get 10% off and free postage). It folds up and comes in this zip lock bag for easy transportation with a cover to go over the plate section. This could be used to cover food in the bowl section before it is served, or may contain the worst of the mess when being transported home. The zip lock bag is handy for keeping the mat clean on the way out and protecting the rest if your bag from mess on the way home. When unfolded it is a good size for plenty of food, while remaining small enough to fit onto almost any high chair. The 4 suction cups stick directly to the highchair tray. I was not sure how well they would hold up to my strong 9 month old baby’s attack, but was keen to find out. So off we went to test our our new easy mat. We went to Costa where, as I am sure most of you know, they have wooden high chairs. 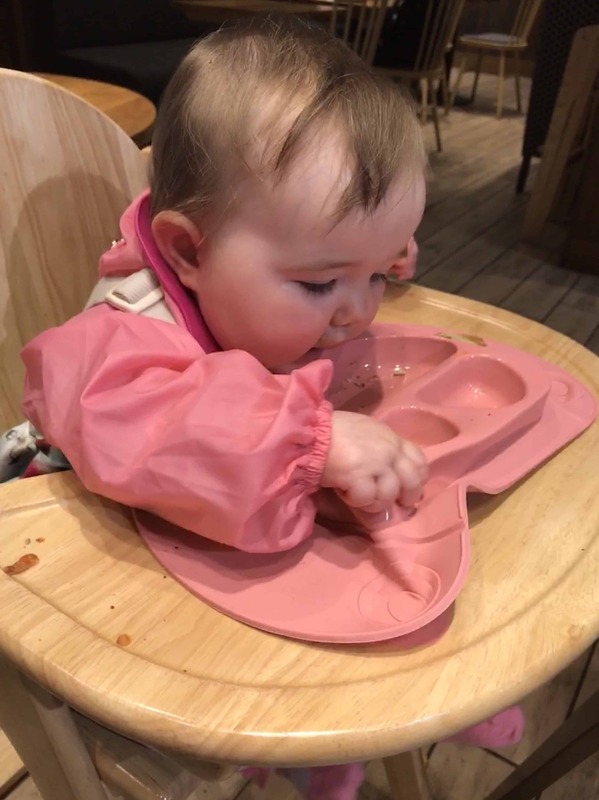 It is on of the places that I previously would have had to do what I could to clean the highchair then place food onto the tray, so I was keen to give it a go. I didn’t hold out high hopes for how well the mat would stick, due to the fact that Amazon reviews said that they don’t stick especially well to wood, but I am pleased to report that it held up well. As you can see from the picture, she had a good go at tugging the mat and the suction cups held well. The result very pleasing. There was a lot less wastage than if the food had been on a plate (in which case the whole lot would have been gone in one go) or if it had been on the tray ready to be swept off, windscreen wiper fashion. When I bought the EasyMat, my intention was to just use it while out of the house. However, our Costa trip went so well that we have been using it in the house. I am pleased to report that they have saved lots of food from dropping on the floor and made clean ups much easier. The EasyMat sticks very well to our IKEA highchair. By all accounts, untreated wooden surfaces do not allow the mat to stick, but I can’t imagine a high chair tray that it would not stick to. 10% off and free P%P! Click here to enter to WIN one of 3 EasyMat Bundles for Baby LED Weaning! Have you tried one of these type of mats? What do you think of it? Please comment below to let me know. Disclosure – post contains affiliate links. This review was written having purchased my own EasyMat and all opinions expressed are my own. 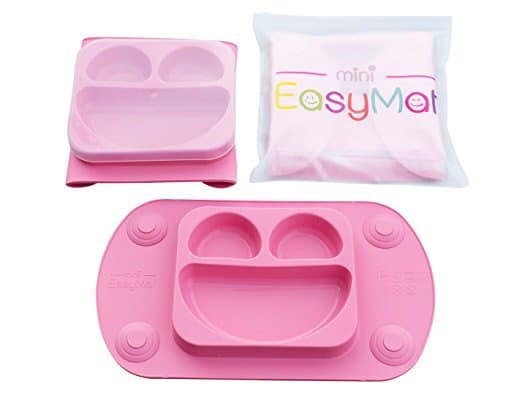 Since purchasing and loving the EasyMat, then writing the initial review in November 2017, I have collaborated with Easy Tots to promote their products.